There’s a lot more to Detroit than autos. 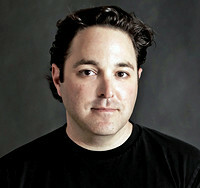 The industry that earned Detroit its Motor City nickname also attracts an incredibly diverse and culturally rich population, which in turn inspires Randall Fogelman’s savory venture, the Detroit Spice Co. An urban planner and culinary enthusiast, Randall used to work on Saturdays at Rafal Spice Company, a renowned haven for the well-seasoned in Detroit’s historic Eastern Market. Rafal’s closed in 2008, but Detroit Spice Co. pays tribute to the city’s diverse ethnic communities through its handcrafted spice blends. Each signature blend is packaged in a gift-ready metal tin with an illustration that highlights what’s going on under the hood. The Mexicantown blend (perfect for fajitas) and Greektown seasoning (try it on lamb, beef, chicken, and seafood) capture the flavors of their respective neighborhoods in the city. Jamaican Jerk will heat up your dish, Detroit-style, and the Middle Eastern seasoning celebrates tastes from the city’s Arabic population. 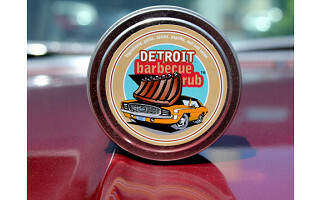 If it’s meat you’re grilling, give the Detroit Barbecue Rub (with no sugar, so it won't burn when you’re cooking) or best-selling Steak Seasoning (the rub that started it all) a try. Grill masters, prepare to start your engines… er, we mean fire up those grills. Hi Daily Grommet. When you think about Detroit chances are that cars come to mind way before food. Don’t let our reputation as the Motor City lead you to believe that we are not a great food town. Cars and food, in the D (as we affectionately call it) are actually intricately tied together. The automotive industry attracted a phenomenally diverse workforce, and those immigrants brought their culture with them, and their cuisine. I'm excited to be here today to take you on a culinary “ride” through Detroit. I was inspired by the many ethnic groups that call Detroit home to create a line of spices that capture this rich heritage. So climb in, put on your seat belt and get ready for a culinary ride through the streets of the D! I will be here all day to answer any questions you may have along the way! Could you please provide a list of ingredients for each recipe? My husband has an intolerance to refined sugars. Thanks. @ Karina we never use sugar in any of our spice blends. Perfect for those that need/want to avoid sugar and most importantly so they don't burn on the grill! @ mark they are made with Kosher ingredients, but are not certified Kosher. I love ALL of the flavors, but I wish I had a way to create custom 3-packs for all the cooks on my Christmas list. @ Rhonda: Fabulous, scrumptious idea! You can buy a bunch of complete sets of 6 and a couple sets of 3 and customize those individuals into 3 packs. There’s a lot more to Detroit than autos. The industry that earned Detroit its Motor City nickname also attracts an incredibly diverse and culturally rich population, which in turn inspires Randall Fogelman’s savory venture, the Detroit Spice Co.
An urban planner and culinary enthusiast, Randall used to work on Saturdays at Rafal Spice Company, a renowned haven for the well-seasoned in Detroit’s historic Eastern Market. Rafal’s closed in 2008, but Detroit Spice Co. pays tribute to the city’s diverse ethnic communities through its handcrafted spice blends. Each signature blend is packaged in a gift-ready metal tin with an illustration that highlights what’s going on under the hood. The Mexicantown blend (perfect for fajitas) and Greektown seasoning (try it on lamb, beef, chicken, and seafood) capture the flavors of their respective neighborhoods in the city. Jamaican Jerk will heat up your dish, Detroit-style, and the Middle Eastern seasoning celebrates tastes from the city’s Arabic population. 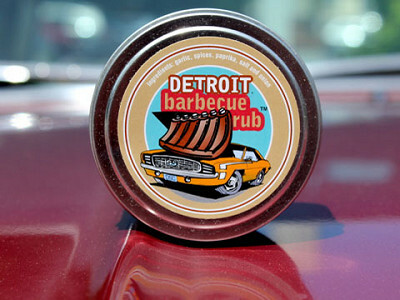 If it’s meat you’re grilling, give the Detroit Barbecue Rub (with no sugar, so it won't burn when you’re cooking) or best-selling Steak Seasoning (the rub that started it all) a try.